As I exited the airport I was immediately hit with the thick tropical heat that instantly warmed up my bones and put a glow onto my face. Here we were in Jamaica, home of reggae and dazzling beauty, which also happens to be one of my best-loved Caribbean islands. Although I’ve had the pleasure of visiting many times over the years, the One Love Island continues to inspire and rejuvenate itself. There is always a new adventure in the waiting, whether it’s something new to experience, a local dish I have yet to try for the first time or uncovering a new piece of history that I find intriguing. Lucky for our agent fam group, this island paradise was our host destination for the next full week. Our fam agenda was not a typical one by any means. It was not a visit to the usual obligatory tourist resort areas filled with endless hotel site inspections with the promise of some sun n’ sand downtime at the end of each day. 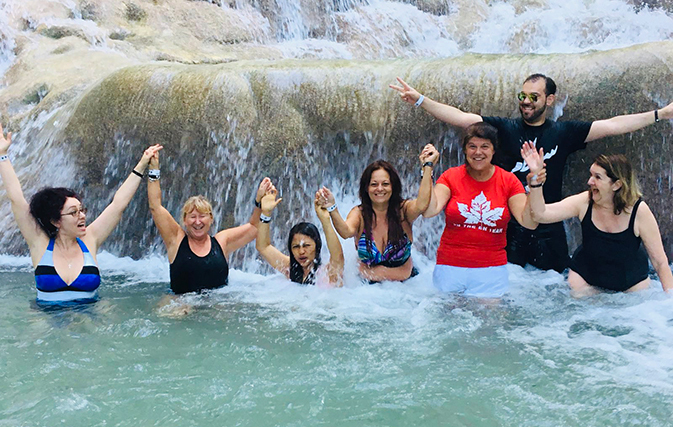 Rather our unique itinerary – pulled together by the Jamaica Tourist Board – was intentionally crafted for us to experience Jamaican culture at its best and with it, many ‘firsts’, that we would otherwise never have experienced on our own. And, trust me, the week was jam-packed with fun and was anything but disappointing! Our adventure began with an arrival into Kingston, capital of Jamaica, nestled between the famed Blue Mountains and one the world’s largest natural harbours. For most of the group, it was a first visit and one that was taking them off the beaten path. 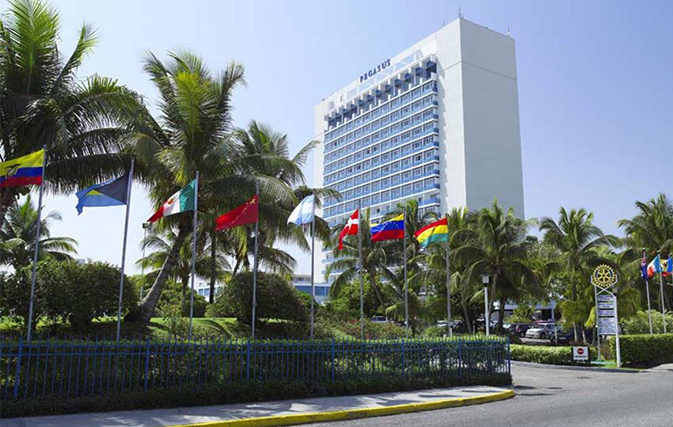 Our host, the Pegasus Hotel, was an ideal location, just a stone’s throw from Emancipation Park and some local shopping. 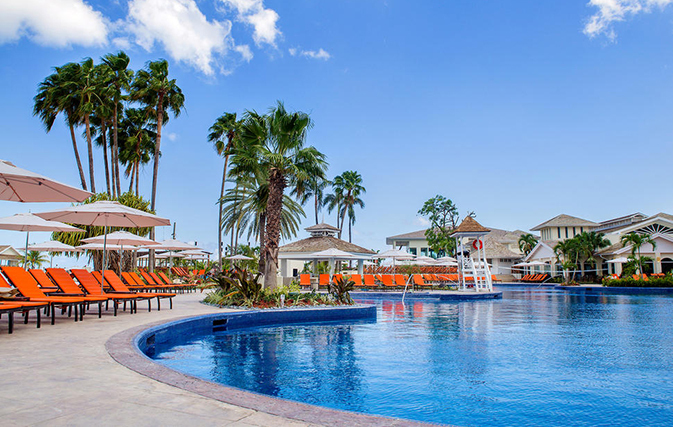 Although the hotel attracts mostly business travellers to the Kingston area, it was continuously hopping all week with award banquets, media, and concert-goers for the famed rapper, Buju Banton and, of course, the not-to-be-missed Kingston City Marathon. Note: Rooms at the Pegasus are well appointed and recently renovated. The main restaurant, Blue Window, was an outstanding serving of some of our best gourmet meals of the week. It also boasts the only 24/7 café around which became evident as the go-to hot spot for coffee and a quick bite with the after-hours scene. As the week progressed we enjoyed a visit to the Edna Manley College of Visual & Performing Arts where we were welcomed by a surprise greeting of a Junkanoo troop. The troop, playfully, led us to the main auditorium for our impromptu dance lesson which I soon quickly realized was much tougher than it looked. The balance of the day included a visit to the old pirate enclave of Port Royal where we all got giddy experiencing the slanted Giddy House, followed by a delicious lunch at a local hot spot, Gloria’s Seafood Restaurant, for some local fare and beer. Local must-eat: fried or mashed ‘bammy’ (cassava root vegetable) along with ‘festival’, a lightly sweetened fried dough. Both are island staples. 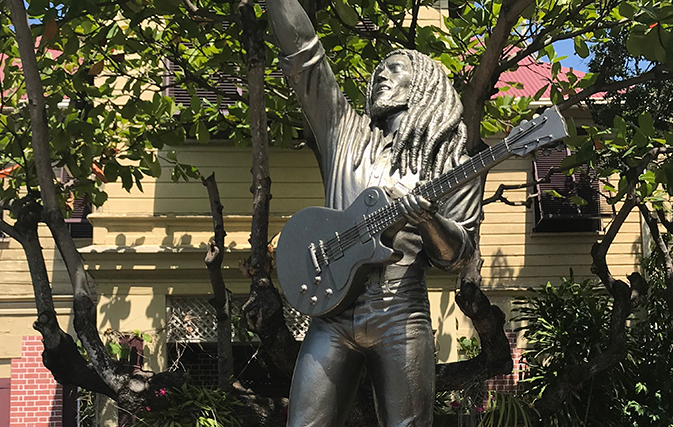 After checking out of the Pegasus Hotel we made a couple of stops at some neighbouring city hotels before arriving at the Bob Marley Museum, situated on the site of the iconic musicians’ home. I was mesmerized as the tour took us through Bob Marley’s life including his recording studio and the singer’s untouched bedroom – where his favourite denim wardrobe is displayed with pride. We further explored Devon House, one of Jamaica’s landmark mansions and dream of Jamaica’s first black millionaire, George Stiebel. Our lunch consisted of local yummy Jamaican patties that were quickly devoured followed by ice cream at the I-Scream parlour – boasting 27 flavours and very obviously a local favourite. Personally, I’m not a big fan of ice cream but my pralines and cream scoop was out of this world! Our next day brought us to Yaaman Adventure Park where we encountered parrots of all sizes and colours literally eating out of our hands. That was followed by our culinary experience. Chef Kaysen had us wearing flattering hairnets and aprons (NOT!) while we took on the task of making our own lunch. To my relief, our efforts yielded a tasty Jamaican meal that was totally edible and we thoroughly enjoyed it! No visit to Ochi is complete without a stop at the famed Dunn’s River Falls, one of Jamaica’s national treasures. Although I’ve done the climb several times myself it never gets old. However, this time around I opted to take on the job of camera girl. It was almost as much fun to capture all the exuberant faces as they challenged themselves and climbed on. Our remaining days brought us back to Kingston where we continued to enjoy the city’s vibrancy, gastronomy and local attractions, all while our excitement built for the impending race day. 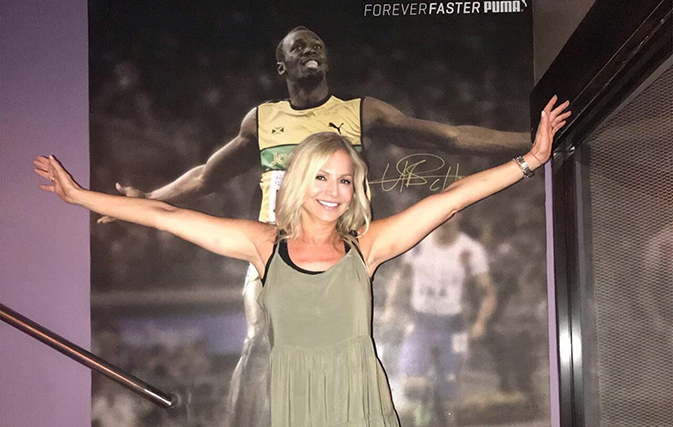 As welcomed VIP guests, we were further inspired when the customary carb-loading pre-race dinner took place at legendary Usain Bolt’s restaurant & sports bar, Tracks and Records. The venue, a place to relax and cut loose, offered a wide selection of pub fare, loud music and Bolt paraphernalia throughout. A few of us, myself included, couldn’t resist a photo-op in front of the life-size poster of Usain as we mimicked a race-win finish. Race day morning had a gunshot start at 4:30 a.m. and I was wide-awake with some pre-race jitters. As we gathered in the lobby, you could sense the excitement and anticipation in the air. For most of the group, it was a first race and adrenalin kicked into high gear. As I ran the course, mostly in the dark – thus keeping cool – I took in the sites and sounds while watching my footing along the way. The route took us on and through main roads and parks winding by Kingston’s recognizable landmarks and attractions. The water stations enroute were plentiful as were the volunteers who, thankfully, guided us at this ungodly time in the morning. 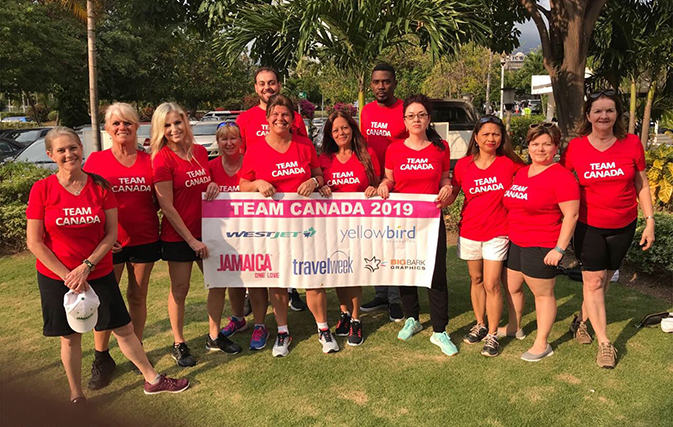 Needless to say, our Team Canada members persevered and crossed the finish line with a sense of accomplishment and beaming faces as they proudly donned their hard-earned medals. Aside from our race day accomplishments, our dinner that evening was charged with a renewed energy and high spirits as we reminisced over the week’s events and personal highlights. 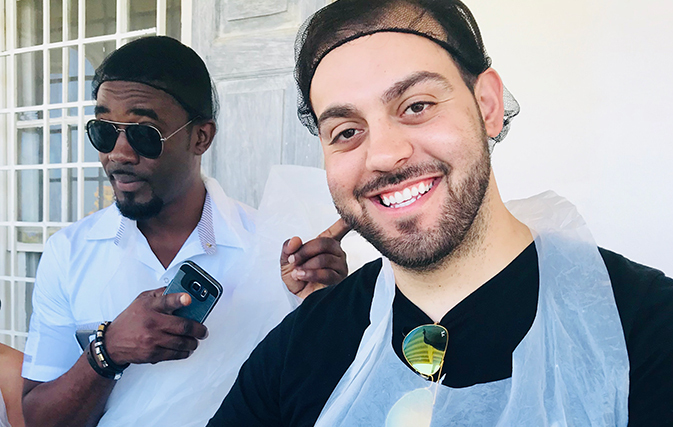 The FAMJAM group of 2019 not only celebrated newfound relationships but an appreciation for a memorable week of newly gained cultural and culinary experiences that can only be discovered with a stop in Jamaica’s capital city of Kingston.